The jewel in Spain's Costa Blanca North and a perfect place to live. Prices are now off the bottom leaving Monte Pego as the ideal buy-to-let recovery investment. Rental demand and income yields in Monte Pego are also excellent. This is because the high proportion of year round residents in Monte Pego leave fewer villas competing in the rental market. Add to the mix the current lower purchase prices, and what you get are spectacular yields. With resales, if the buyer and the vendor are of the same nationality and the vendor is repatriating the sale proceeds, it may be possible to agree a fixed Sterling price between buyer and vendor. NB. There are currently no off-plan sales in Monte Pego. All property sales are either bespoke or resales. Monte Pego is mature, established and the most stunning community of Spanish villas in the beautiful Costa Blanca North. The picturesque and unspoiled views of the sea, mountains and countryside are simply breathtaking. 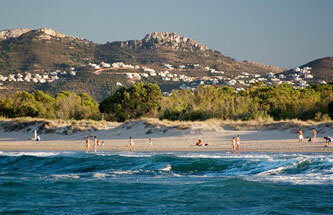 Monte Pego also enjoys a higher proportion of year-round residents to anywhere else in the Costa Blanca. Nowhere is immune to global price shocks, but Monte Pego is more resistant and stable than anywhere else we know. Perhaps it is because more residents than investors have bought there. Monte Pego is a special location whether you're buying a holiday home or a villa for year round living, there's nothing as secure and enjoyable to use as a property with a year round lifestyle where you always know who your neighbours are. Ski & Golf: facilities include skiing just 2 hours drive from Monte Pego and construction of an 18 hole golf course is due to begin. Luxury Spanish Villas in Monte Pego are also less expensive than you might imagine. Prices of substantial 3 bedroom detached villas with private pool can be as little as €300,000 excluding IVA taxes. SO, WHERE IN THE COSTA BLANCA NORTH? We have a huge variety of resales and plots on the Costa Blanca North upon which to build your dream custom Spanish villa, all situated close to Moraira, Javea, Denia and Oliva; easily the most picturesque part of the Costa Blanca, and in the only area in Spain proclaimed by the World Health Organisation as having "one of the most environmentally perfect climates in the world"
This northernmost of the province of Alicante features the most stunning terrain in the Costa Blanca; a more rugged coastline than the regions to the south providing spectacular scenery and blue flag high quality white sandy beaches with clean clear blue water. With a mountainous region comes fertile green valleys; with a rugged coastline comes shelter for fishing communities. This is why the Costa Blanca North has so many picturesque and historical villages and towns. Hence why so many people find the D�nia/Pego area such a stimulating and rewarding place to live. Capital of La Marina Alta, midway between the two international airports of Valencia and Alicante, Dénia is a delightful cosmopolitan town, rich in history and with a huge range of places to visit. Its streets are a fascinating showcase of architecture through the ages. The 16th century castle which dominates the town is a good starting point. The fishing quarters of Baix La Mar and Les Roques retain their intimate Spanish charm and the 17th century church of Santa Maria is outstanding. With 20 kilometres of seafront, Dénia has enough sand and space to keep everyone happy. There are different beaches to suit everyone - endless stretches of flat sandy beach, rocky coves and tiny bays hidden among the cliffs. The town has a beautiful main street lined with trees whose branches dip towards one another, forming an arch that covers the street. It is closed off to vehicles in the evenings so that visitors can enjoy a leisurely, peaceful stroll. When building from new, each villa is superbly designed and crafted to a high specification. Villas are built in the traditional way rather than the flat-pack assemble-on-site process common in the Southern Costa Blanca. Customise your Spanish villa: You can alter the design to your hearts content and the cost depends only on it's size. Hotel Los Angeles backs on to this superb beach! When you have decided to purchase your Spanish property you will need to familiarise yourself with the various areas. There are thousands of companies who are selling properties in Spain and here are some of the reasons why you may wish to choose the Costa Blanca North for your Spanish property. People have been buying properties in Spain for many years now and the Costa Blanca North is one area which has remained largely unspoilt in terms of scenic beauty, architectural heritage and blue flag beaches. The Costa Blanca North has learnt the lessons of more built up areas in terms of high rise buildings, lost cost, high density developments and for those looking for properties in Spain the building policies in place on the Costa Blanca North provide a welcome relief from such blots on the landscape. Monte Pego are building architecturally beautiful Spanish property without spoiling the natural beauty of the area. 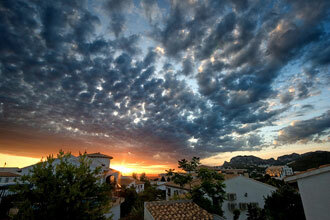 Our Spanish properties in Monte Pego are in an area of outstanding beauty in the Costa Blanca North. They were built by Juan Porsellanes - an award winning family business established over 50 years ago and widely acknowledged as one of the most highly regarded companies in the Costa Blanca North area of Spain. To make sure the area stays unspoiled there are strict low density and height regulations and any new Spanish properties in Monte Pego have to conform to the boundaries of good taste and to the aesthetic quality of the local area of Costa Blanca North. Monte Pego is a year round community in the Costa Blanca North, close to Denia, the beach, the beautiful, historic cities of Alicante and Valencia and countless areas of outstanding natural beauty and only two hours from snow ski resorts. A large percentage of our clients build their Spanish villas to live in all year round so there is never the shut down abandoned feel of some resort areas. Juan Porsellanes has built Spanish villas in Monte Pego for over 30 years with luxurious spanish villas and designer homes and a serene lifestyle yet close to facilities and about 5 minutes drive to the beach. Monte Pego is famed for its abundant mountain spring water so our Spanish villas seldom have to contend with water shortages. Monte Pego enjoys panoramic views mountain and sea views and across to the Spanish village of Pego with its local shops, medical centres and excellent school. In Monte Pego we have stunning clear night skies, a superb year round climate, and peace and tranquility yet we are only a few minutes away from the bustling and historic fishing port of Denia with its beautiful village houses, leafy squares and clean white sandy blue flag beaches from which the Costa Blanca takes its name. People searching for properties in Spain will love Monte Pego and the surrounding areas and will enjoy the laid back lifestyle of the Costa Blanca North. Juan Porsellanes established its reputation by building individually designed Spanish villas which, while catering to the needs of the clients, also enhance and fit in with the surrounding landscape. Our Spanish villas in the Costa Blanca North are built as quality homes in which many people choose to live all year round and there is no extra cost involved in the design process of your Spanish villa whether you wish to piece together designs from our extensive portfolio or to completely tailor your own design. 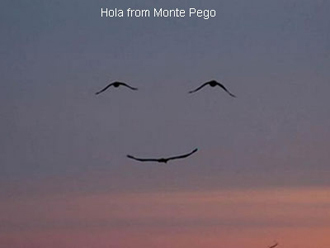 At Monte Pego Spanish villas a relationship is built from the start based on trust, mutual respect and complete client satisfaction. It is our policy to deal directly with our clients both in Spain and in London. You will always have a direct line of communication with English speaking staff from one of the longest established and professional Spanish villa companies in Costa Blanca North who will help you at every stage of building your Spanish villa and beyond. This policy ensures that you will have a greater influence on the overall design of your Spanish villa, interior specification, progress towards completion and after sales service. As there is such a high rate of all year round residency in Monte Pego we have a longer than normal rental season for those who wish to rent their Spanish villas for all or part of the year. 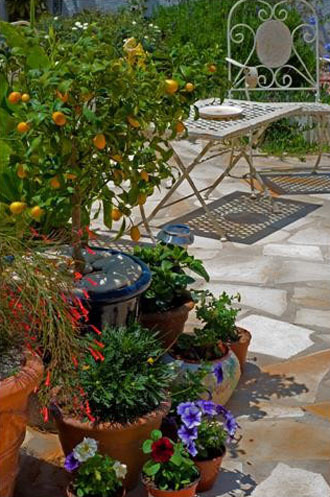 There is also a long established property management company � Mayordomo � which offers letting services, interior and exterior maintenance, pool and garden care � in fact any service you may need to make life easier in your Spanish villa. Monte Pego is widely recognised as one of the most stunning locations in the picturesque Costa Blanca North. The World Health Organisation has proclaimed the Costa Blanca North as having �one of the most environmentally perfect climates in the world.� The area has stunning natural beauty, mountains, beautiful rural Spanish villages, an amazing coastline with white sandy blue flag beaches, orange groves, olive terraces. The area has not been spoilt � unlike the Costa del Sol with its huge swathes of ugly, unfinished developments running like scars throughout the area which is not as scenically beautiful anyway. The small coastal towns of Denia and Javea remain traditionally Spanish and discerning people who have chosen to have their Spanish villas in this area tend to be environmentally aware and respectful of that natural beauty. Here we still have a fishing industry, fruit growing and wine bodegas, natural mountain springs, waterfalls and although the attractions of modern cosmopolitan life are never far away it is possible to live in a less stressful, peaceful environment and enjoy the natural attractions of the area. Building your Spanish property on Monte Pego in the Costa Blanca North gives you the best of both worlds. There are many opportunities for sport in the Costa Blanca North � there are three good golf courses nearby to Monte Pego, tennis courts on site, water sports such as windsurfing, and boating in all local coastal towns, the most stunning coastal scenery for enthusiastic sailors, clean, clear seas for swimming and snorkeling, and wonderful inland mountain areas to explore. There are also water parks, animal parks and theme parks not too far away � you will never be bored in the Costa Blanca North even if your idea of heaven is to sit and dream, taking in the wonderful views from Monte Pego. There is something for everyone here � we can build your ideal Spanish property and you can take it from there!